DIRECT consignment meatworks grid prices in Queensland remain mostly unchanged this week, after a fortnight of sharp rises following March rain. Competitive Southern Queensland processor grids this morning have heavy cows at 435-440c/kg and four-tooth grassfed heavy steer 510-535c/kg – the same as last week, but up between 35c and 60c compared with mid-March rates. Central Queensland offers were identical to plants further south. Premium lines have also lifted this month, with grainfed steers in Queensland up 20c/kg on average on late-March rates. Spot grainfed steer this week is 590c-600c up from 560-570c just a fortnight ago. In NSW, MLA reported last week’s cow grids up another 10c/kg to 376c/kg for cows +260kg in weight, but steer prices have not responded anything like as much as the trend seen earlier in Queensland. One northern NSW export processor has offers in the market currently for kills week commencing 6 May of 470c/kg for four tooth export steers and 400c/kg for heavy cows +275kg. The earlier rise in over-the-hooks rates is also reflected in saleyard trends, with larger yardings recorded in many centres over the past week as prices strengthen. Gunnedah this morning yarded 3460 head, up 64pc on the week before. Good quality medium and heavy feeders remained firm, but plainer cattle of all descriptions eased. Processor spoken to for this report said the recent price changes had pushed more cattle forward, and at least one large export processor in Queensland has withdrawn direct consignment offers for the time being, content that it has adequate numbers booked through to early May. More plentiful supply due to recent price movements, combined with holiday-shortened killing weeks towards the end of April, have served to fill available kill slots in coming weeks, and reduce processor appetite to secure more bookings. 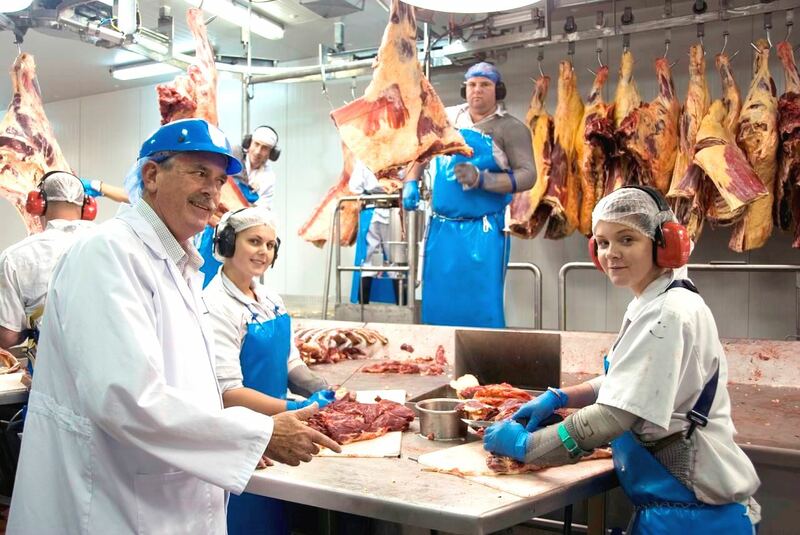 The combination of Easter and ANZAC holidays will take three working days out of the calendar for most processors, with week 17, starting 22 April being a three-day working week for most plants due to Easter Monday and ANZAC Day Thursday holidays. MLA’s eastern states slaughter report for the seven days ended Friday reported a five-state kill of 139,986 head, down 5pc on the week before. Queensland’s kill dropped 7pc to 67,800 head, while NSW eased 2pc to 35,868 head. In Victoria, processes accounted for 26,115 head for the week, a 3pc decline, while South Australia dropped 13pc to 5220 head and Tasmania was little changed at 4983 head.